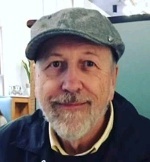 Posted on November 4, 2018 by Robert Tuomi wrote in Entertainment News. It has 0 Comment. Despite its infectious rhythm, blues is more than music. It is a melodic recording of life and nowhere was this more evident than Friday night at RockStar Music Hall. 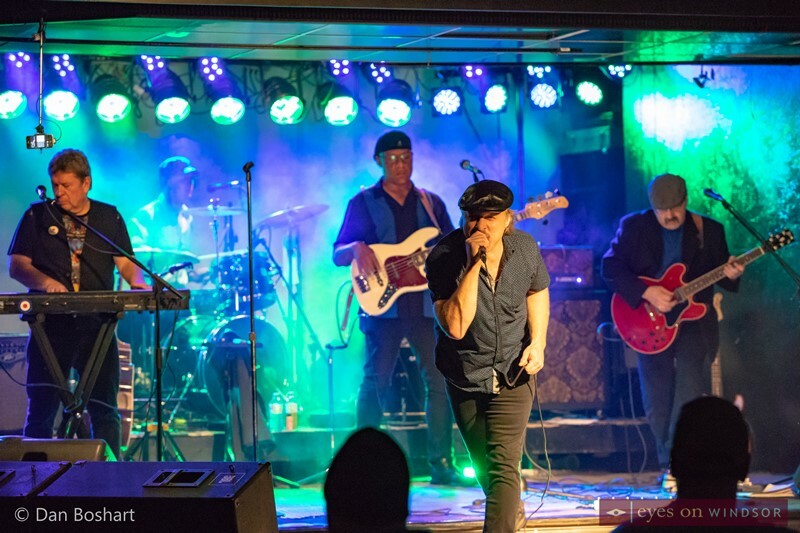 The Central Avenue entertainment venue was packed with blues fans all treated to the exceptional talents of two of the brightest lights on the local blues scene, the 519 Band and The Blues Side. 519 Band frontman Jamie Thompson (left) and saxophonist Dave Belch performing during a Canada South Blues Society membership drive and show at RockStar Music Hall in Windsor, Ontario, on Nov. 2, 2018. Photo by Robert Tuomi / Eyes On Windsor. One original Blues Side song put the role of the genre into perspective. Titled, appropriately enough, “Put the Phone Down,” it talked of the grief in a city losing its major employers, and the hardships that follow lost jobs. Reality, laid out bare and sometimes raw, is what the blues does best. 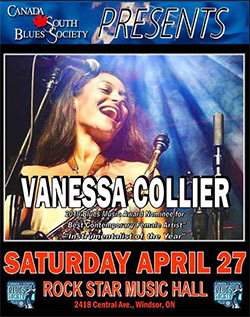 It is something the Canada South Blues Society has decided to showcase. 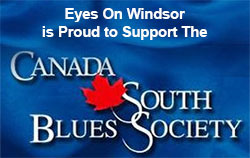 In an interview with Eyes on Windsor, Society President Mike McCann talked of his organization’s duo plans. 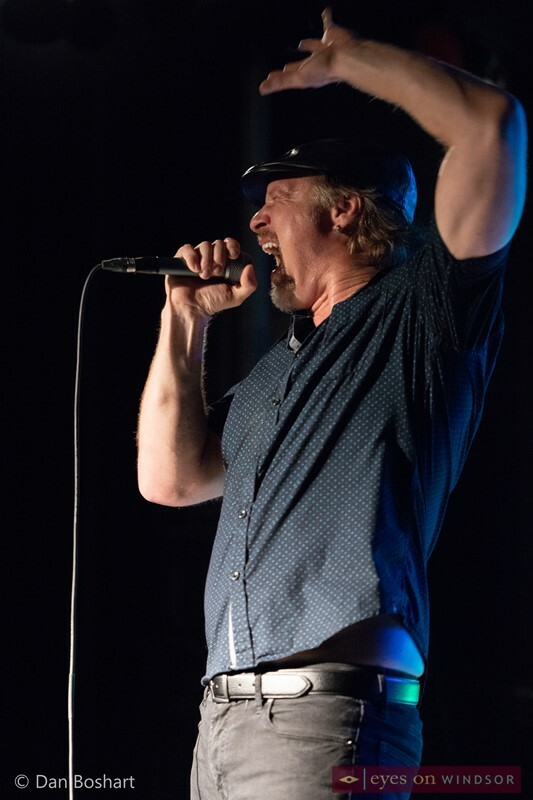 Michael McCann shown during a Canada South Blues Society membership drive and show at RockStar Music Hall in Windsor, Ontario, on Nov. 2, 2018. Photo by Robert Tuomi / Eyes On Windsor. Friday’s event is the start of what he says could be many more. But, in the short term, he has his sights set on bringing one of the hottest acts from Memphis, Tennessee to the city. 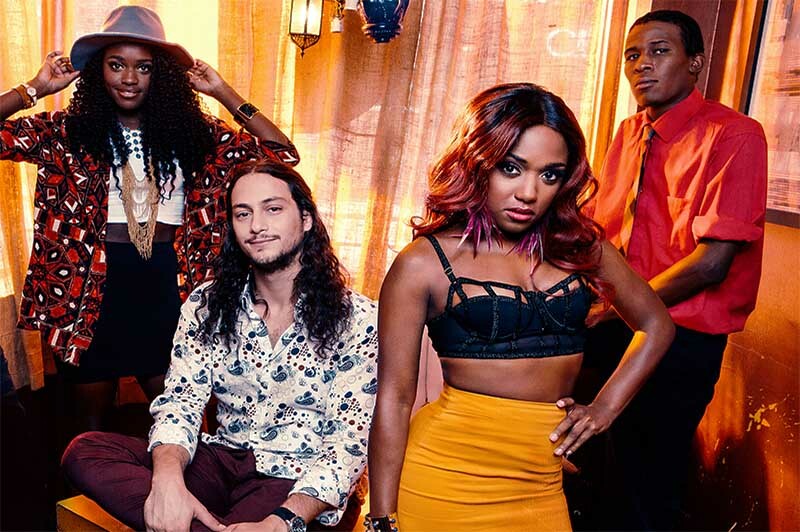 Southern Avenue will be at RockStar on the evening of December 7. 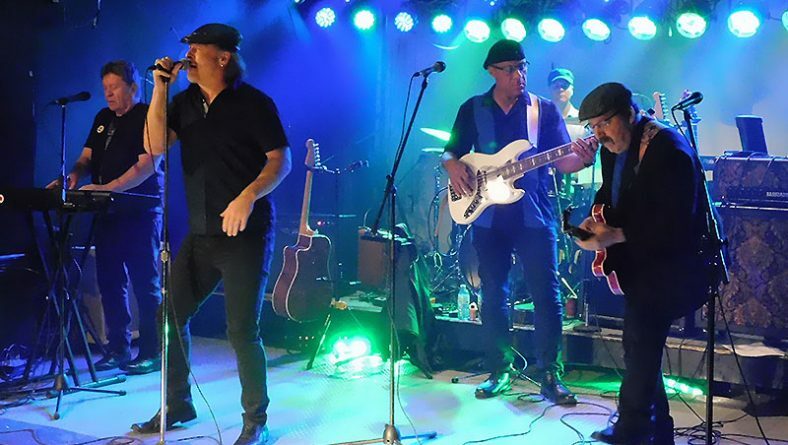 This Memphis crew, he explains, is made up of twenty somethings, showing conclusively that the blues is alive and well and new generations are following in the footsteps of its historic pioneers. Critically acclaimed Memphis blues band Southern Avenue. 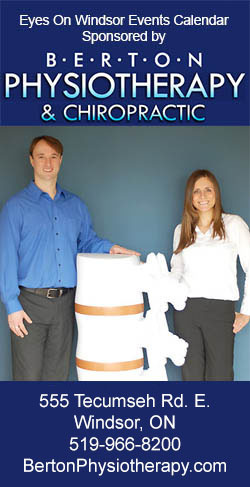 Photo source www.southernavenuemusic.com. History, it turns out, is the second plank in McCann’s plans, specifically a program to bring the blues and its full story to local students. 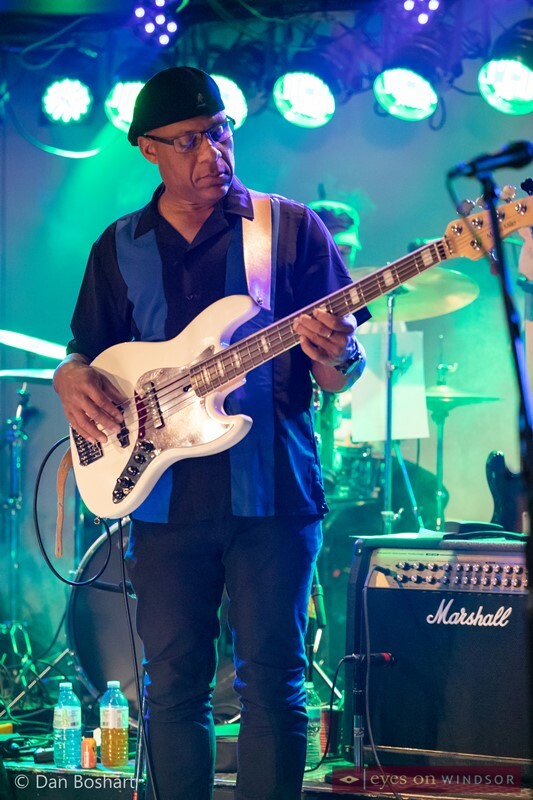 Titled “Blues in the Schools,” McCann is optimistic the program, based on one in Detroit, will expand awareness of the music and its musicians in front of a young audience. Without question, some of the new generation were already present at RockStar, with the audience as varied in age as the city’s general population. 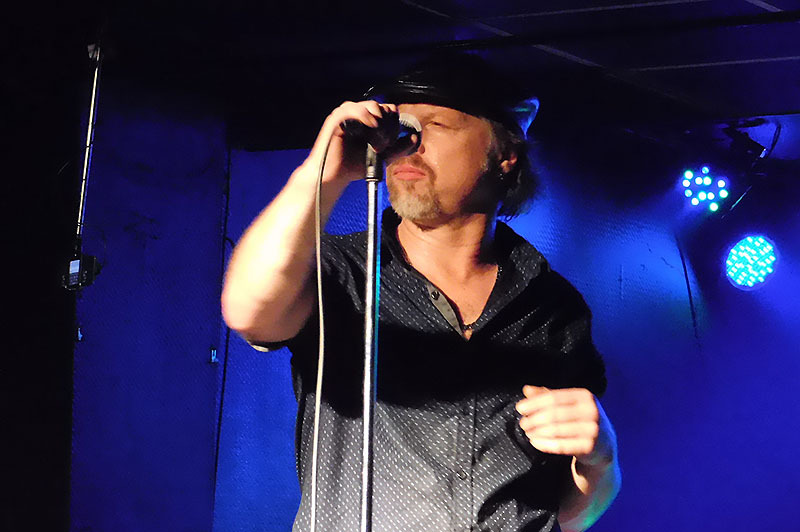 Rick Labonte performing with his band The Blues Side during a Canada South Blues Society membership drive and show at RockStar Music Hall in Windsor, Ontario, on Nov. 2, 2018. Photo by Robert Tuomi / Eyes On Windsor. LaBonte was joined on stage by organist Michael Hereford, bassist John Kersey, lead guitarist Denny Bastarache and drummer Matthew David. A new member of the 519 Band also provides evidence of the popularity of the blues having no age borders. Ryan Thompson, barely out of high school, is the youngest member of the group and, as the audience discovered, an incredible picker. 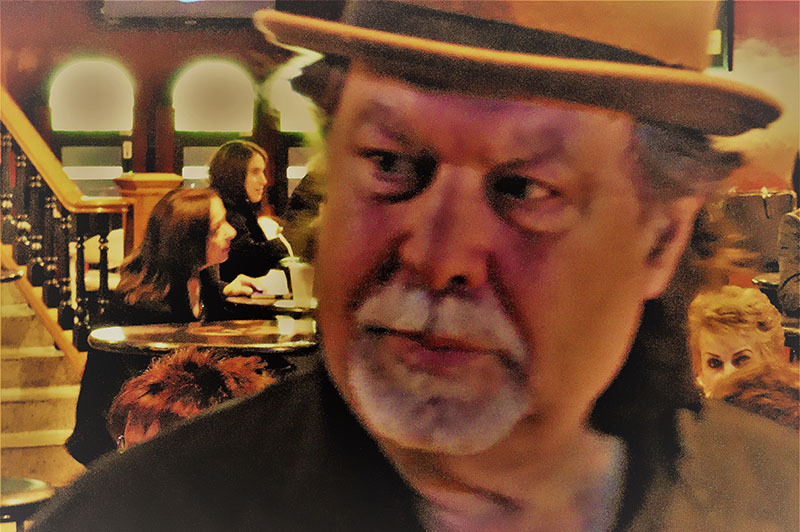 Most notable was the unmistakable look of satisfaction emanating from his mentor, the band’s lead singer Jamie Thompson, whenever the younger Thompson breezed through even the most complex guitar licks. 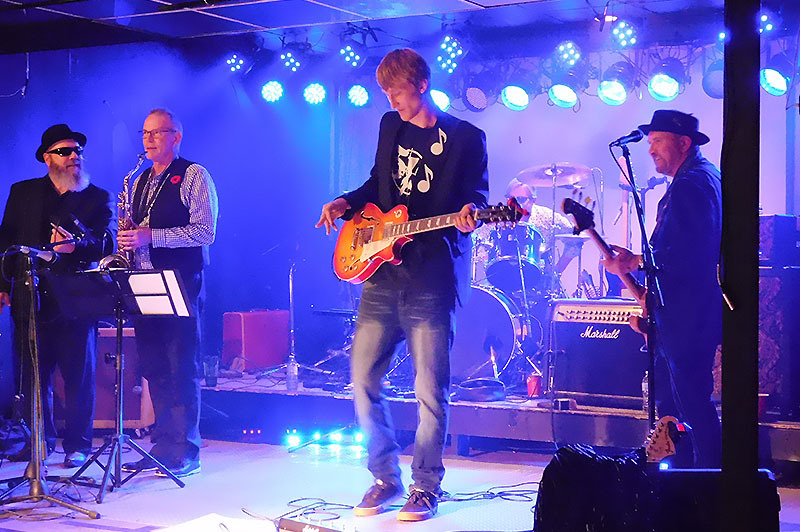 The 519 Band’s front line of harmonica player Giles Provost, saxophonist Dave Belch, lead guitarist Ryan Thompson and bassist Rob Balint performing during a Canada South Blues Society membership drive and show at RockStar Music Hall in Windsor, Ontario, on Nov. 2, 2018. Photo by Robert Tuomi / Eyes On Windsor. Other band members in the septet include bassist Rob Balint, keyboardist Brian Jones, saxophonist Dave Belch, drummer John Zuliani and harmonica player Giles Provost. The event was also both a fundraiser and a means to increase Society membership. 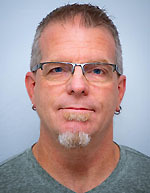 When the music ended, McCann was proud to say the ranks of his organization were bolstered by 14 new members. 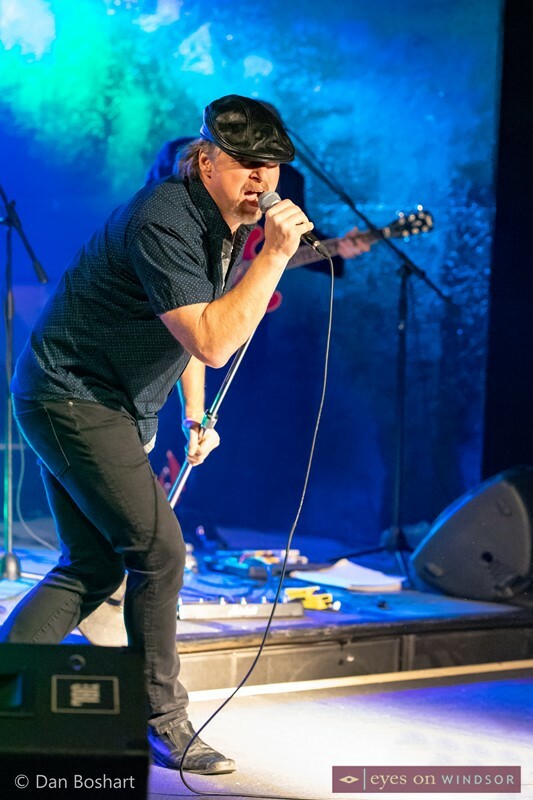 Rick Labonte performing with his band The Blues Side during a Canada South Blues Society membership drive and show at RockStar Music Hall in Windsor, Ontario, on Nov. 2, 2018. Photo by Dan Boshart / Eyes On Windsor. 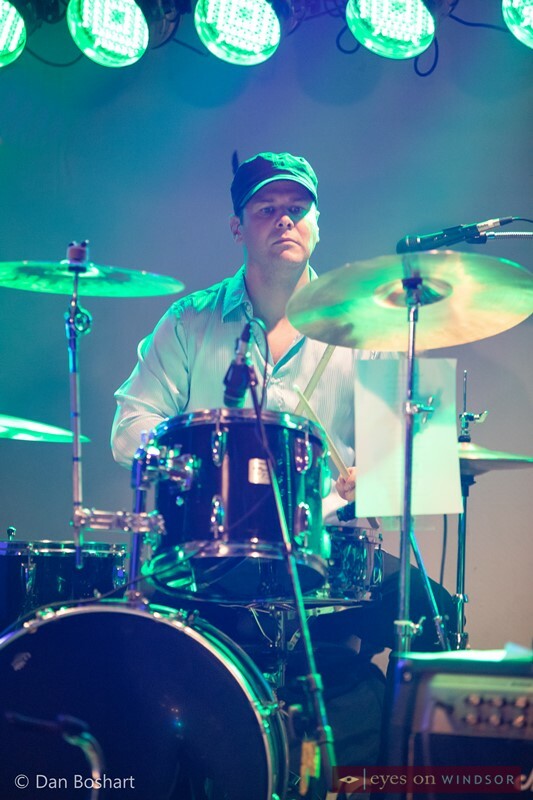 The Blues Side Band drummer Matthew David performing during a Canada South Blues Society membership drive and show at RockStar Music Hall in Windsor, Ontario, on Nov. 2, 2018. Photo by Dan Boshart / Eyes On Windsor. 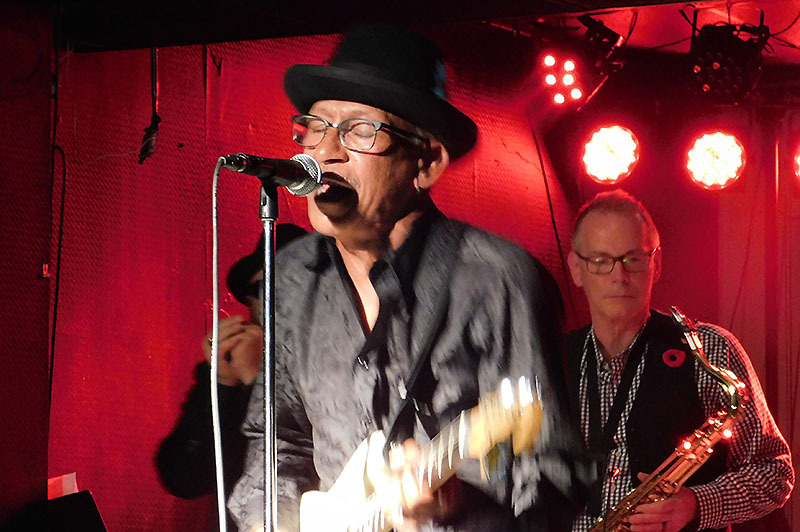 John Kersey performing with The Blues Side band during a Canada South Blues Society membership drive and show at RockStar Music Hall in Windsor, Ontario, on Nov. 2, 2018. Photo by Dan Boshart / Eyes On Windsor. 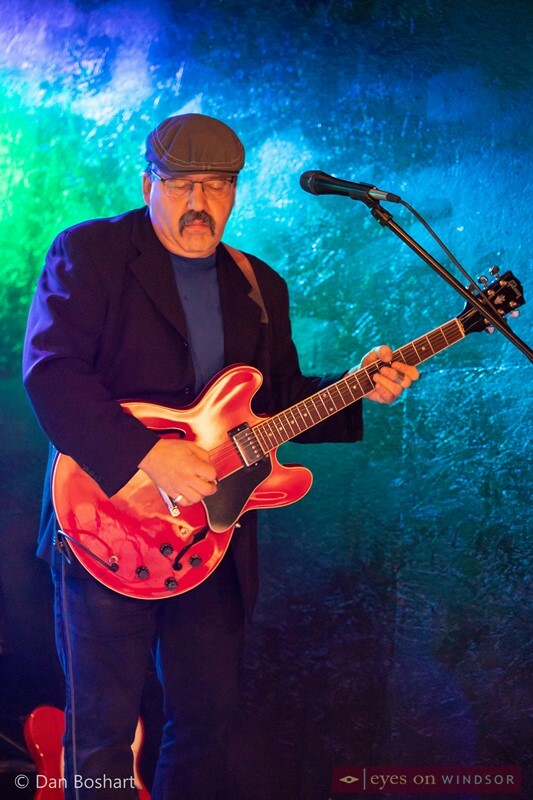 Denis Bastarache performing with The Blues Side band during a Canada South Blues Society membership drive and show at RockStar Music Hall in Windsor, Ontario, on Nov. 2, 2018. Photo by Dan Boshart / Eyes On Windsor. 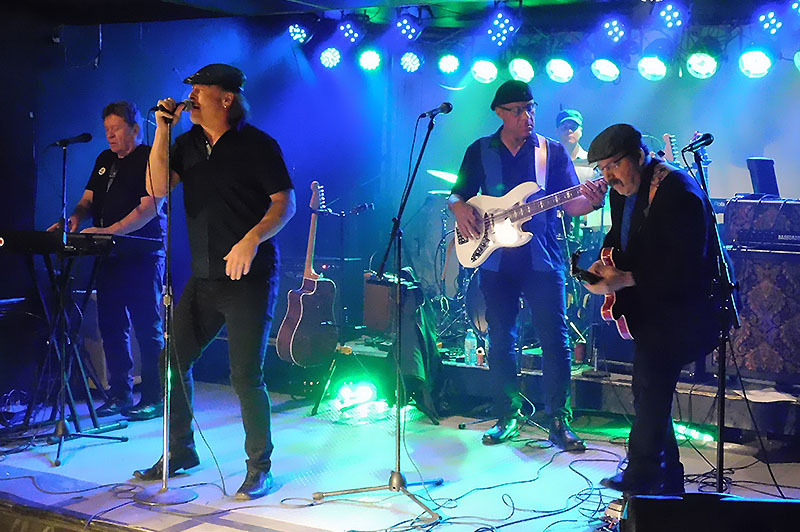 The Blues Side band performing during a Canada South Blues Society membership drive and show at RockStar Music Hall in Windsor, Ontario, on Nov. 2, 2018. Photo by Dan Boshart / Eyes On Windsor.